FriendGrief: "It's Not Like They're Family"
It wasn't the response you expected when you told someone your friend died. A shrug and "well, it's not like they're family" wasn't it. You were shocked that they didn't "get it". Welcome to Friend Grief. This blog will raise awareness of a powerful experience in all of our lives: the death of a friend. Millions of people each year suffer the pain of a friend's death, and many of them suffer more because those around them don't respect their grief. Most corporate bereavement policies don’t accommodate someone whose best friend has died. Friends have no rights - legal or otherwise – to visit a dying friend, to participate in their funeral service, to formally memorialize them. 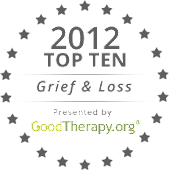 Even bereavement groups for “loved ones” may not appear welcoming to someone who has lost a friend. BTW, anticipating future blog posts is really helpful to your readers. How about once you've actually posted the next couple of blogs you go back and hyperlink the text of the future blog posts to make it quick and easy for readers to follow up with the topics that interest them? Just a thought! Thank you so much for this; my friends ARE my family, I'm sorry that you experienced that kind of callousness.